On Friday, October 5th, the Faculty of Education hosted an event titled ‘Be a York University Student for a Day’. 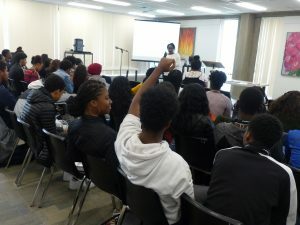 Forty grade 11 and 12 high school students from the Toronto and Peel District School Boards discovered potential career paths, networked with current York students and learned what it takes to get into university. The event was organized by the Black Children and Youth Studies Network under the auspices of the Jean Augustine Chair in Education, Community & Diaspora at York University. Attendees left the event inspired, better informed and with a clearer understanding of their university plans. Some felt validated in their plans to pursue a university education while others discovered new possibilities. The day started with a presentation by Karen Reid from York’s Admissions Office, who gave an overview of admission requirements and procedures. The students then attended a simulated lecture for a first-year course titled “Cultures of Resistance in the Americas: The African American Experience”. The course is offered as part of York’s new Black Studies certificate program and focuses on the concerns of racial minorities and their survival strategies in oppressive situations. The lecture was led by York teaching assistants Ola and Shaunasea. "The simulated lecture and the readings that the students had to review beforehand was a way to introduce them to the structure and expectations of engagement of a university lecture,” said Tka Pinnock, Project Coordinator for the Black Children and Youth Studies Network. “It was also an opportunity for them to see and engage with Black graduate students, and to get a feeling for the exciting and responsive scholarship coming out of York." During the afternoon session, the students attended a panel discussion hosted and facilitated by current York undergraduate and graduate students from a number of Faculties and programs including Humanities, the Schulich School of Business, Lassonde and Osgoode. 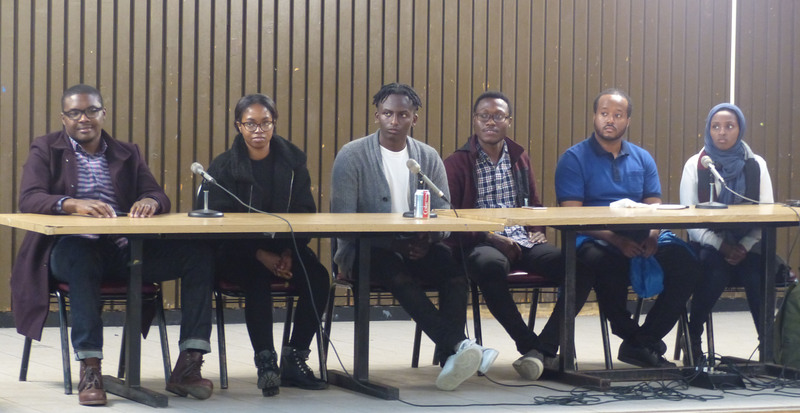 The panelists gave the high school students a first-hand account of their own decision-making process to attend university, which included not having their post-secondary plan figured out early in high school. Caleb discovered the Schulich School of Business and the many programs that it offered and the rest is history. Today, Caleb is planning to specialize in marketing and his long-term goal is to practice corporate law, and entertainment law in the film and music industry. During his time at York, he has been involved with the Business Law Association at Schulich where he is now co-president and also co-founded a non-profit organization called EDGE: Diversity in Leadership, intended to connect minority undergraduate students with employers. The panel also provided the students with a wealth of other advice including: how to balance school and social life; how to develop strong study habits and take advantage of the university’s many resources; effective time management; and the importance of mentorship.